A Top-Rated Filterless VOC, Mold & Germ-Eliminating Horticultural Air Purifier with Advanced NASA Designed Reaction Chamber that Kills Mold Spores, Powdery Mildew, Airborne Fungal Disease such as Powdery Mildew, Gray Mold/Botrytis, Bacteria, Viruses, Mycotoxins and Destroys THC / CBD Fumes with Special Green Lights to Not Disturb Growing Cycles. Great for Medical Marijuana & Cannabis Sativa Growing Facilities, Organic Greenhouse Growers, Hydroponics and More! Powerful Alternative to Pesticides, Mildewcides, Other Chemicals--Essential for Organic Growers! No Paper or Carbon Filters to Replace--just replace the reaction chamber once a year. Best for: Greenhouses, Medical Marijuana Grower Facilities, Hydroponic, Organic Indoor Gardening, Seeding Facilities. Cannabis / CBD / THC Oil Processing Facilities. Also Great for Seed and Inventory Storage Areas, Preserves Product Integrity and Profits. How to Calculate Needed Units: # of Cubic Feet divided by 2000 = # of AiroClean 420 units needed. Universal Voltage - Use Anywhere in the World! Length 25.5″ Width: 18.75″ Depth: 5.5"
Airborne mold spores, powdery mildew can easily ruin valuable crops being grown in greenhouses, not to mention the health hazards of breathing the spores and their mycotoxins. Airborne bacteria and viruses can also increase hazards for greenhouse workers and degrade crops, as well. For those operating licensed medical marijuana growing facilities, the THC oil fumes and odors often become an issue, as well and need to be controlled. NASA designed Airocide air purification systems were initially designed to remove ethylene to prevent premature ripening and spoilage of produce on the space station, but the Airocide units were quickly found to eliminate other VOC's, odors mycotoxins and a variety of plant diseases caused by powdery mildew, gray mold/Botrytis--saving crops, preventing inventory losses and increasing profits. The Airocide AiroClean 420 was created and fine tuned to meet horticulture needs and provide natural, organic mold, fungus, germ and odor control--all without the use of chemical mildewcides, pesticides and other chemicals. How does Airocide AiroClean 420 work? Airocide works by way of a unique bioconversion technology using powerful UV light in in an amplified photocatalytic oxidation process that instantly converts any organic at a molecular level, solid or gas – into harmless vapor. Polluted air is drawn into the Airocide unit at exactly the right speed via a high-precision fan, then routed into and through micro-tunnels that have been charged with 254 nanometer UV light. Antibacterial and VOC-eliminating hydroxyl (OH-) radicals bubble up from the tubule surfaces waiting for anything organic to touch them--when they do, the pollutants are disintegrated. For medical marijuana, organic gardening and other greenhouse growers, this means that any airborne powdery mildew, gray mold/Botrytis spores, bacteria, viruses, VOC's, even strong cannabis sativa THC fumes are all destroyed, creating an optimal, maximum production growing environment--without having to use harsh chemicals or other expensive filtration systems. Extra steps were also taken to make the lights on the AiroClean 420 green instead of blue or red, as green does not disrupt light sensitive growth cycles of cannabis and other plants. Regardless, if you're growing indoors, the AiroClean 420 is a perfect 'green' eco-friendly air quality and crop protection solution that removes and controls fungal plant diseases, germs and odors without chemicals. Order your Airocide AiroClean 420 filterless horticultural air sanitizer purifier today at a discount online sales price and enjoy maximum production, minimal product losses and safe clean air quality for your greenhouse staff. There are not many official online retailers of Airocide air quality products and unfortunately the internet is full of scams. As a general rule of thumb, if the deal seems too good to be true, it probably is. Cheap cut rate online deals often end up being a used or refurbished unit, which do not come with Airocide's top rated 3 year warranties. Or even worse, you may end up buying a cheap discount air cleaner that doesn’t have the energy efficiency, features or real air cleaning power provided by top-rated Airocide air filtration systems. When you buy your money and energy saving Airocide air filtration products from us, you get a brand new unit, at the best possible price, with Airocide's amazing 3 year warranty. Our innovative partnership with Airocide allows us to ship directly from their warehouse, which cuts out the middle man and eliminates the high operating costs of traditional brick and mortar big box stores. 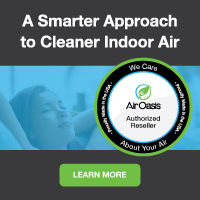 These savings get passed directly to you, allowing us to offer brand new allergy and asthma symptom-eliminating Airocide air purifiers and filters at the best possible everyday cheap discount online sales prices. And buying from us is definitely better than direct. If you buy direct, you'll have to pay shipping. Buying from us, however, you always get fast free ground shipping as our thanks to you for shopping with us.